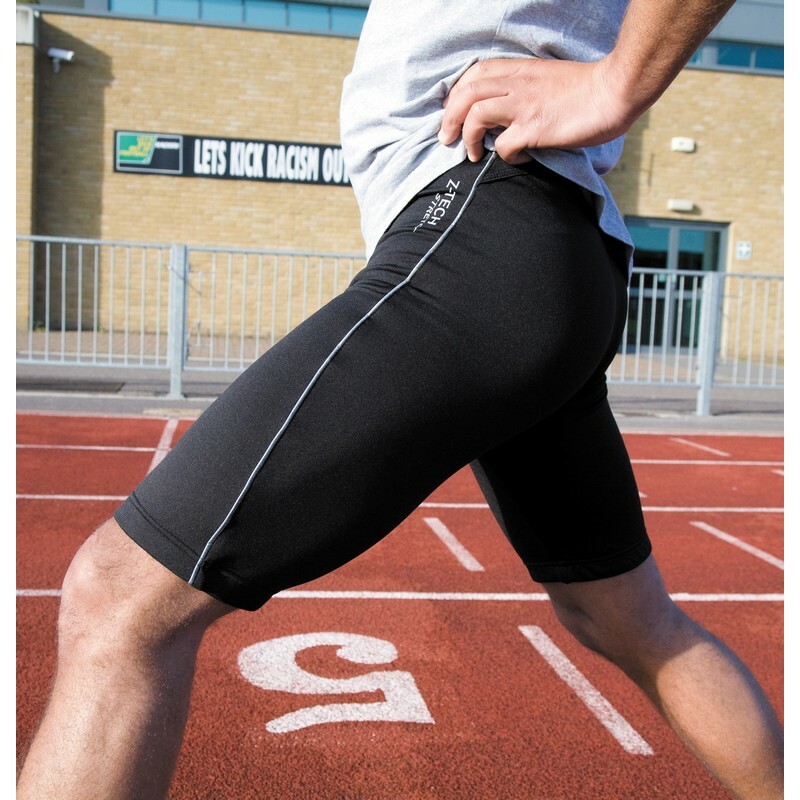 Great looking breathable, lightweight athletic sport pant with Z-Tech® Stretch. Soft athletic 4 way stretch fabric. Extremely lightweight. Quick drying. Dual elastic waistband for comfort fit. Spiro logo on centre position on the back of shorts in reflective materials. Z-Tech stretch logo on left thigh in reflective material. Keeps the skin cool and comfortable super fit. Ideal layer garment, good warmth factor when worn as a layer. Perfect for transfer printing. S - 30" M - 34" L - 36" XL - 38"